CND, especially its Vinylux formula has been a favorite of mine for years - I have written various posts about them in the past (if you're interest click here to read them). This Spring, they have launched their Chic Shock Collection which features four super Spring worthy colors reminiscent of your favorite chocolate candy easter eggs...mmm. All the swatches above feature two coats followed by their signature Vinylux topcoat to extend and give it that week-long no chip wear. My favorite shade would have to be Gummi which reminds me of Wisteria Haze, a similar purple which is one-two shades darker from a few collections back. 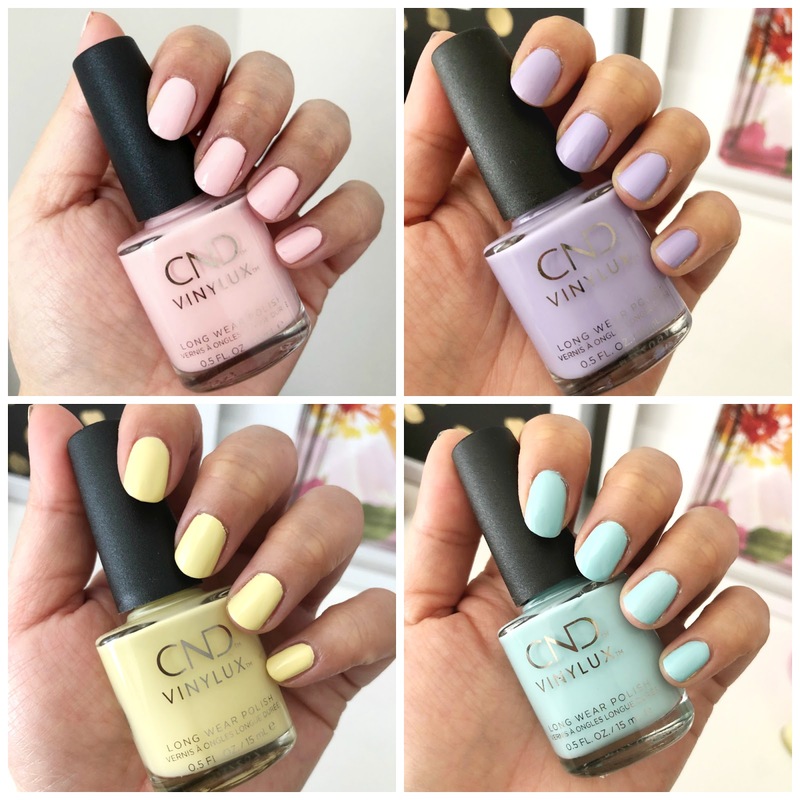 These are available for purchase as of March 2018 and the four shades are available in both Vinylux and Shellac formulations.